Who Is The Killer ? Any detective out there ? 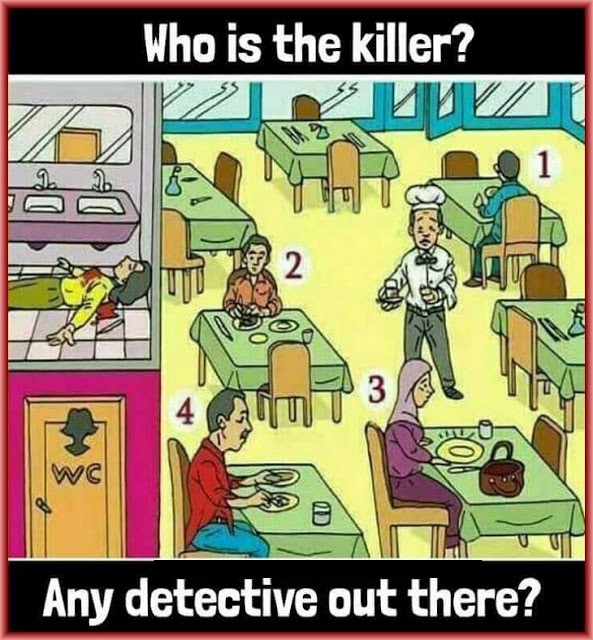 One among the 4 person in the restaurant is the killer. Can you find out who is the killer? Women on table 3 might be the killer. Because the murder took place in the women's toilet and also on her table there is only 1 knife even before the food arrived. Number 4 is a killer.His table has no knight.